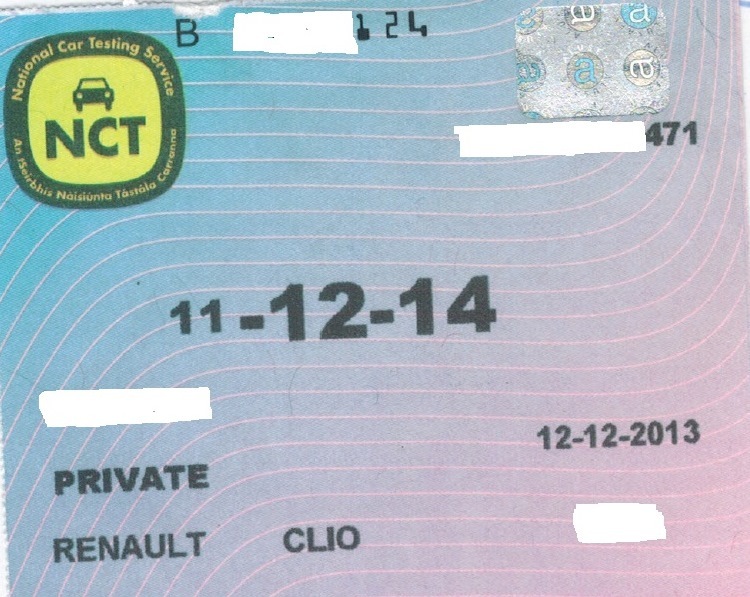 Vehicle history expert CARTELL.IE issues today (February 18) images of a stolen NCT Certificate found circulating in the market. Cartell.ie understands that an armed holdup at an NCT centre in Drogheda in October 2013 resulted in the theft of 850 official certificates. These certificates are stolen official documents, so they entirely resemble authentic certificates. The consumer is advised that Cartell has proof these certificates are still circulating. These stolen certificates may be displayed in the window of vehicles offered for sale in the market. It is also possible that unscrupulous individuals are offering these stolen certificates for sale and buyers may not be aware that purchase and display of these certificates constitutes an offence: Using a motor vehicle without a valid NCT Test Certificate is an offence contrary to Section 18 of the Road Traffic Act 1961 as amended by Road Traffic Act 2006, section 18. Conviction for this offence carries five penalty points and Courts may impose a fine of up to €2,000 and/or up to three months’ imprisonment. Buyers of vehicles in the used market are advised to exercise caution and to verify the NCT certificate number as part of the buying process. This can be done through Cartell or other vehicle history checking companies as part of the services supplied.